New Delhi. 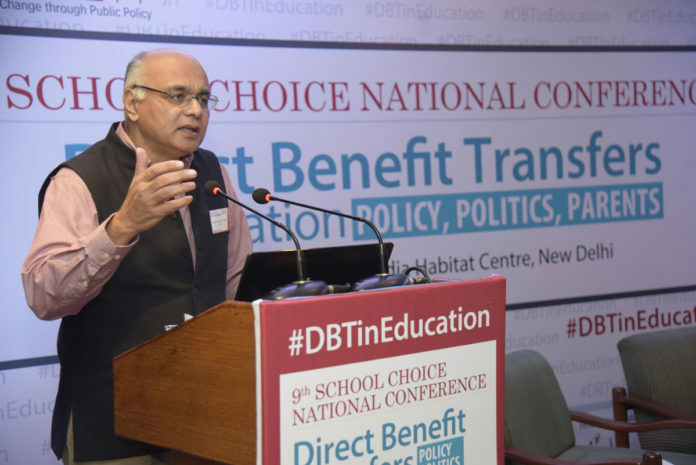 Leading Think Tank of India Centre for Civil Society (CCS) on Sunday organized 9th School Choice National Conference (SCNC) on the theme of ‘Direct Benefit Transfer in Education; Policy, Politics, Parents’ at India Habitat Centre. Number of experts, educationists, bureaucrats, academicians and school leaders from across the country attended the conference. A policy blueprint, ‘Direct Benefit Transfer in Education’ was also launched during the conference. 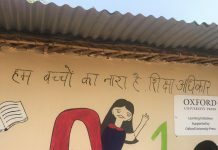 Dr. Parth J Shah, President; Centre for Civil Society, on this occasion discussed challenges of the education sector and the possible solution of the same with the help of DBT and school voucher. He made a presentation on ‘Direct Benefit Transfer in Education’ and demanded to convert 25% reservation under RTE to DBT. He also advocated for skill training for students from class 8th onwards through DBT for vocational courses. The daylong conference included other interesting and informative sessions i.e ‘DBT Experiments & Models: National and Global’ by Sarath Davala, coordinator; India Network for Basic Income, P Priyatarshny; Additional Secretary & Director, Department of Civil Supplies and Consumer Affairs, Government of Puducherry, Shalender Sharma, Vice President; Education and Skills Development, IPE Global Limited and Shabnam Sinha, Lead Education Specialist, World Bank Group, ‘DBT In Education: Incentives, Impacts & Issues’ by Gaurav Kapoor, Sr. Head, Industry Partnership; NSDC, Seetha, Sr. Journalist and Author and Kulbhushan Sharma; National President; NISA, ‘DBT Implementation Challenges: Design, Technology And State Capacity’ by Bhuvana Anand, Governance and Public Policy Specialist, Soumitra Mandal, Director; DBT Mission, Cabinet Secretariat, Government of India and Luis Miranda, Chairman, Board of Trustees, CCS.